In this century, no of hackers and malware they created has been increased day by day. There are some basic security plugins and inbuilt protection available on cPanel, but nowadays they are not aggressive as earlier. Since new malware’s are being created by hackers, we need a new software’s to fight against malware threats and injections. For now there is only few plugins available on market, which is released with almost all the security feature. Here I am providing those plugins, which could help you protect your server from malware threads and injections. cPGuard is an essential security addon for web hosting servers to help administrators to fight against malware threats and injections. 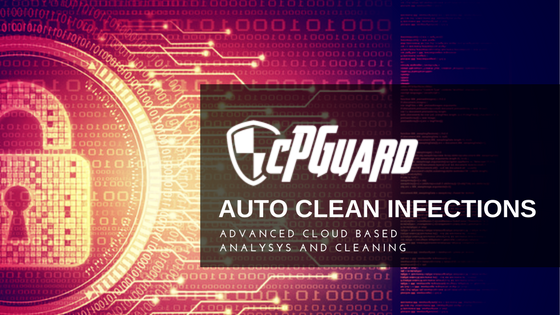 As it exclusively works based on File System changes ( no more mod_security or FTP hooks ), we can detect and scan any real-time changes on the server.In addition to malware/virus scanning, cPGuard helps to reduce spamming by checking IP address reputation, domain reputation and scanning email sending scripts using CSF integration. We are also including DDoS mitigation module for Apache servers to eliminate bots and brute-force attacks against your websites. 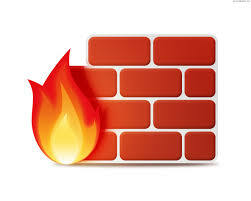 Though we are primarily targeting cPanel integration of the product, we are writing the core to make it working with any control panels or without a control panel with ease.We started developing cPGuard with the aim to provide a cost efficient yet useful security suite for cPanel/Linux Servers. We have carefully crafted each of its components to make sure that the system will be useful and affordable for server owners/admins. 3. IP reputation check against 69 RBLs. 7. Smart e-mail alert system to avoid email flooding while under attack. And I can say that this has the most features available with Artificial intelligence than any other plugin in the Market with low cost. Moreover this plugins has never got a negative reviews from any of their client. Imunify360 is latest anti-malware engine outperforms other virus-scanning technologies used in the hosting industry by as much as 20%. Immunify360 is automated security solution, powered by AI, will protect it from infections, maintain secure kernels, and keep you in the know with relevant information. Imunify360 is a next-generation security solution developed specifically for Linux web servers, by the makers of CloudLinux. Imunify360 utilizes a six-layer approach to provide total protection against threats, including distributed brute force attacks, the most common type of attack for web servers. Comparing to cPguard, Imunify360 has less features and it cost more. Since the plugins are made from CloudLinux, this plugin has more customers and market. You can get more information on Imunify360 from here. ConfigServer eXploit Scanner (cxs) is a tool that performs active scanning of files as they are uploaded to the server. The active scanning of uploaded files can help prevent exploitation of an account by malware by deleting or moving suspicious files to quarantine before they become active. This includes recent exploits such as the Dark Mailer spamming script (multiple variants, including obfuscated code regardless of file name) and files uploaded with the Gumblar Virus. It can also prevent the uploading of PHP and perl shell scripts, commonly used to launch more malicious attacks and for sending spam. ConfigServer eXploit Scanner also allows you to perform on-demand scanning of files, directories and user accounts for suspected exploits, viruses and suspicious resources (files, directories, symlinks, sockets). You can run scans of existing user data to see if exploits have been uploaded in the past or via methods not covered by the active scanning. It has been tuned for performance and scalability. Pyxsoft Anti Malware is an advanced anti hackers & anti malware plugin developed for cPanel. Pyxsoft Anti Malware will scan your server in order to find all malware installed. The definitions includes more than 4.000.000 known malware signatures, including perl files, PHP Shells, PHP uploaders, PHP downloaders, IRC bots and Mass Mailers. Once your server is scanned, you will have a detailed list of infected files. You will be able to block files, delete files or white-list a file. Scanning the whole server will not increase the server load in more than 1 or 1.5 units. As discussed above I have provided you the best 4 security plugins available for cPanel server and from above cPguard, Pyxsoft and imunify360 offers you trail license and for CXS you need to pay and get it. Hope this tutorial will help you to choose the suitable security solution for your server according to your needs and budget. For more Security threads and updates please Subscribe us.